Company PST Service offer repair and restoration of steering racks. WE CAN REPAIR YOUR steering rack or offer to buy from our wearehouse ready and tested RACK. Also, you can use OUR NEW ONLINE CATALOGUE OF THE OIL SEALS, where you can find repair kit by the model, or find oil seals by size. we also sell spare parts (oil seals, repair kits) for the power steering repair. 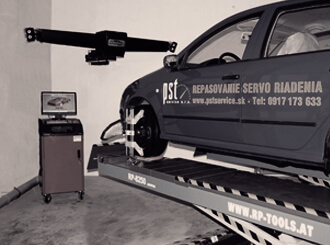 As a part of the partner programme, the PST company offers special services to the companies which repair the power steering units, but cannot perform certain operations required for a high-quality repair. 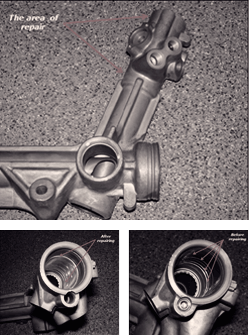 Repair of the steering rack body by installing a repair sleeve (restoration of the worn spool of valves housing). Repair of the horizontal shaft bearing sleeve (of the steering rack). The following video tells you how well our company is equipped and enables you to estimate the quality of the services we offer. avoid mistakes when you choose the station where you want to have the steering unit repaired.